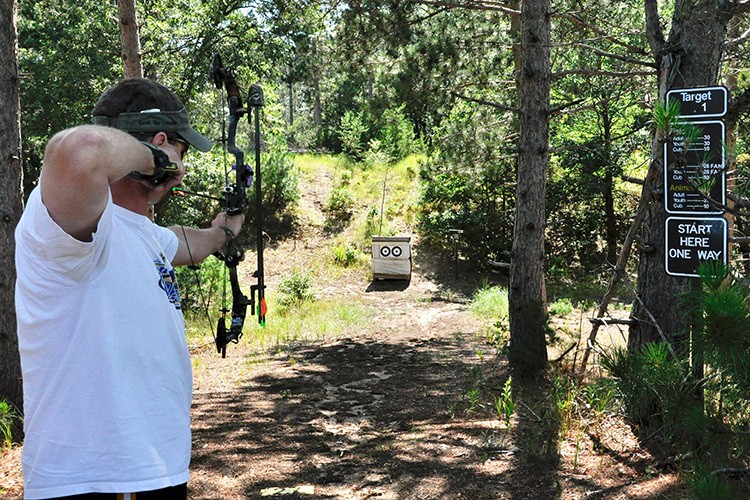 Whether you build your own backyard bow range or shoot at a local archery shop, finding a place to shoot is critical for building your archery skills. 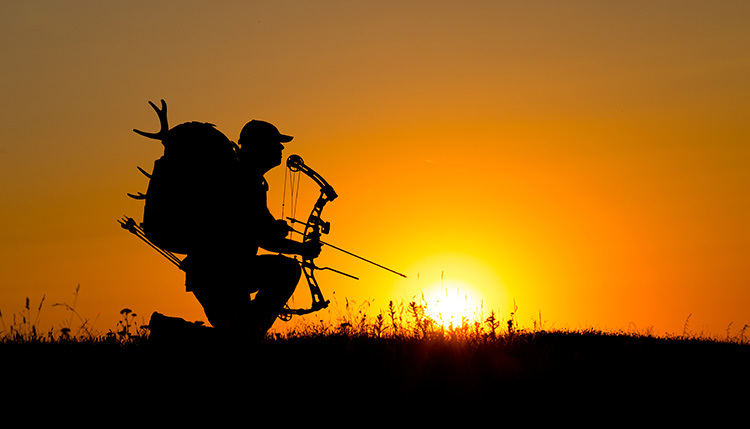 Archery is a lot of fun, but whether you’re a seasoned bowhunter or just getting in to target shooting, becoming a better archer hinges on one simple reality—you need to practice. 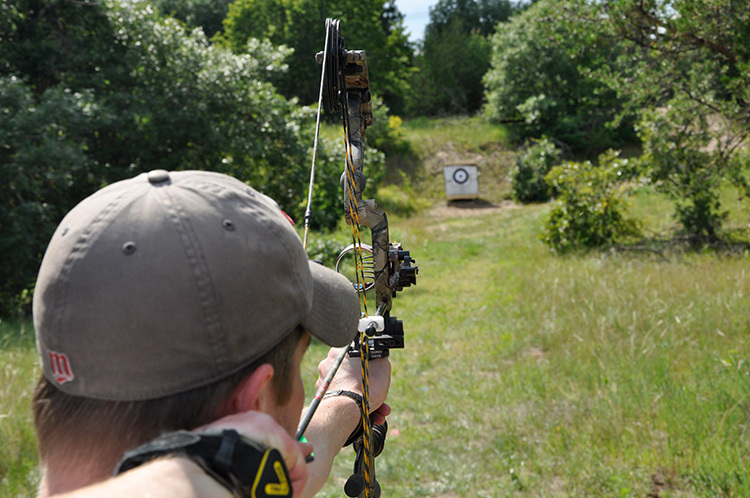 The easier it is to get to a place where you can shoot your bow, the more you’ll practice. 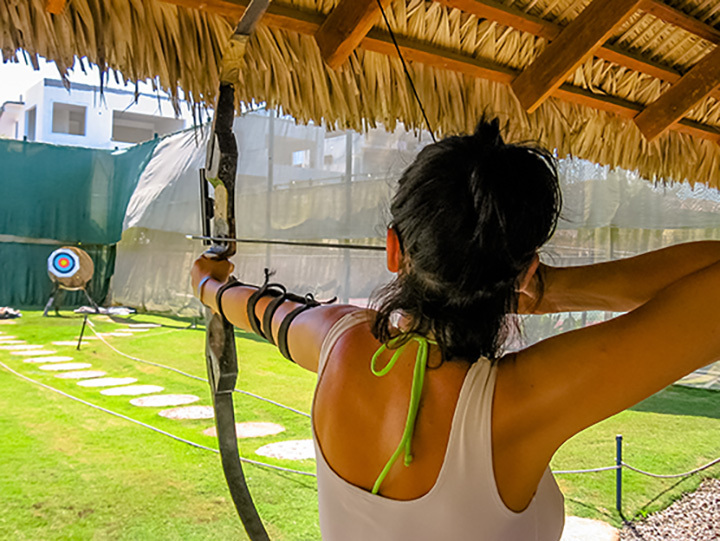 And the more you practice, the more you’ll enjoy archery and the better your shooting skills will become. The problem is, not everyone has 40 acres out their back door where they can set up several 3D targets and spend evenings after work flinging arrows. Most of us have to figure out how to make our yards work for a simple range or look into a pay-to-play option somewhere nearby. Both are totally doable, but the best bet is to figure out how to shoot at home first. If you’re going to shoot in your yard, invest in a couple of targets and always make sure you have a safe backstop to shoot against. In the subdivision where I live, there are rules about shooting bows. Without at least 2.5 acres, you need to gain permission from your neighbors to practice. Our yard doesn't meet the minimum criteria, so I've had friendly conversations with the neighbors on both sides of us and I'm able to shoot my bow when I please. The thing is, I don't...at least not when I please. I can shoot about 45 yards on the side of my house, but in the interest of safety and optics, I tend to tighten up that range a little bit. Because I work at home, I try to shoot over my lunch break when there are fewer people out and about. I've never had anyone complain in 12 years of yard-shooting, but I prefer to keep a low profile because I don't want to make any of my neighbors uncomfortable. Quick tip: Mark yardages on your home range with stakes or flags so that you won't have to use your rangefinder during every practice session. Whether you buy a block-style target or a 3D target, you must understand how to be safe while shooting and what may be required to make your home range safe. Obviously, if you have a sturdy fence or maybe a concrete retaining wall directly behind your targets, you're probably okay. But remember, modern bows are serious weapons and arrows can fly a couple of hundred yards away depending on the bow and the angle at which an arrow is loosed, so it's important to understand what you're dealing with in terms of overall range. It's also critical to understand that arrows, which are moving up to about 300 feet-per-second once they reach your target, can possibly skip or deflect in wild directions. Pay attention to your backdrop, how you draw your bow, and the position from which you shoot in order to keep things safe at all times. 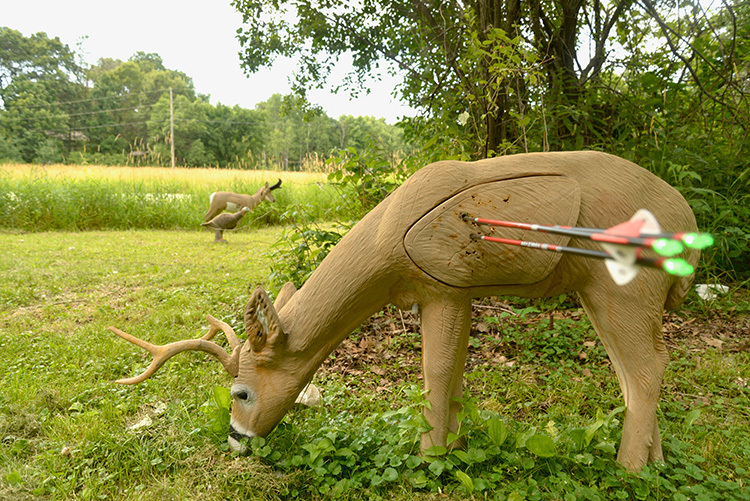 When purchasing 3D targets, choose those designed for both field points and broadheads. Targets with replaceable inserts save money because you don't have to replace the whole target when you shoot out the vitals. From bags to blocks to realistic 3D targets, the market is chock full of offerings. If you're setting up a spot to shoot at your house, I highly recommend making two purchases. The first should be a portable target with a high-contrast bulls-eyes on it. You want this target to be as easy as possible to aim at. 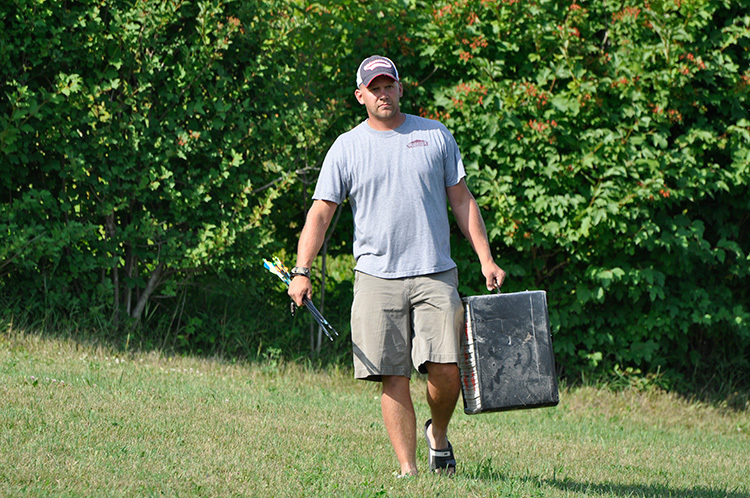 Quick tip: If you're having trouble getting your arrows out of your target, invest in an arrow puller. Your second purchase should be a 3D target that represents the animal you're most likely to hunt. For most of us, this will be a whitetail deer target. 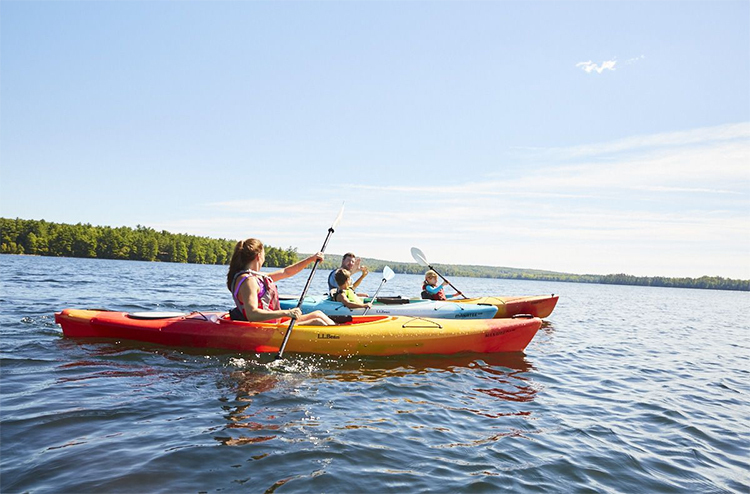 There are many of options on the market ranging in price from about $100 on up. 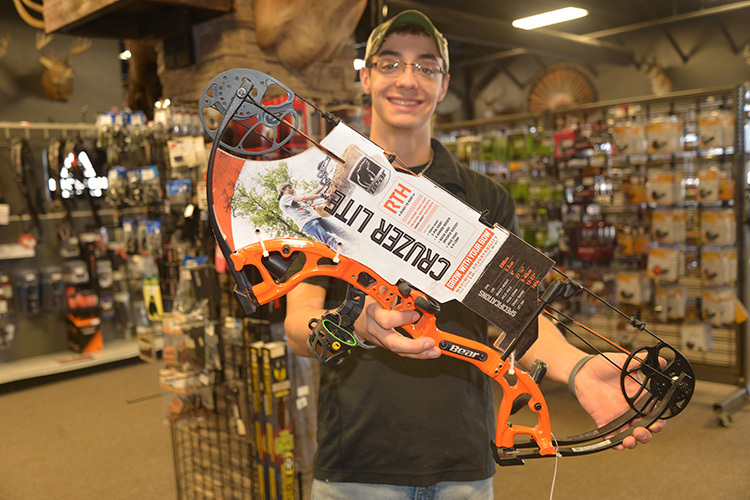 The best targets are those designed for both field points and broadheads, and that are either built to last (i.e. more expensive) or offer replaceable inserts so when you shoot out the vitals, you don't need to buy a whole new target. This 3D option is more fun to shoot at than a bulls-eye, and it allows you to work on point-of-impact aiming on something that truly represents a game animal. That matters and is a great way to keep practice sessions interesting and enjoyable. 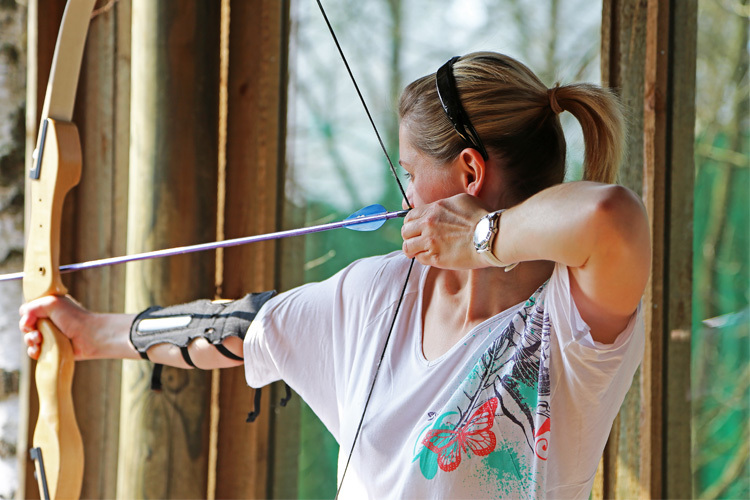 There are plenty of places to practice your archery skills, including ranges with walk-around courses. If you can't shoot at your house or you're tired of punching bulls-eyes at 15 yards, you'll need to find an outdoor range or visit a pro local shop. I'm pretty lucky in that I have a serious outdoor archery range about 15 minutes from my house that contains three walk-around courses. It only costs $3 to shoot, and I try to get there at least once each week in the days leading up to hunting season. 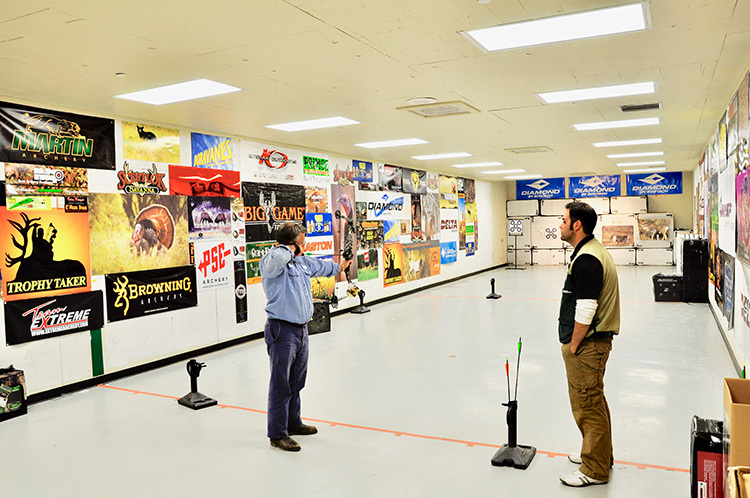 Unfortunately, that outdoor range isn't open during the winter and that means finding a local bow shop to shoot indoors. The good news is that I've yet to see a pro shop that didn't offer some kind of indoor shooting, and some ranges can accommodate shots up to 40 yards. Some also have realistic hunting games where you can blunt-tip your arrows and shoot at a screen on which real animals are projected. The games keep score of each round and it's about as addictive as anything can get. Paying a few dollars to practice at a local pro shop might come with the added benefit of having a professional help you with your form. The downside to either the outdoor range or the pro shop option is if you're not confident in your skills, you might not want to shoot around a bunch of strangers. This isn't as big of a deal at most outdoor ranges, but it can be at a pro shop. Fortunately, if you choose the right pro shop there will be plenty of people willing to help you get better. That is a major advantage to spending a couple of bucks to send some arrows downrange at your local archery shop. If you're a bowhunter or just bitten by the archery bug, you must find a place to shoot. That might be as simple as setting up your own range, or it might involve making a plan to visit the nearest range a couple of times each week. Just make sure to investigate all options as thoroughly as possible, because the easier it is to shoot, the more time you'll spend toeing the line and getting better.